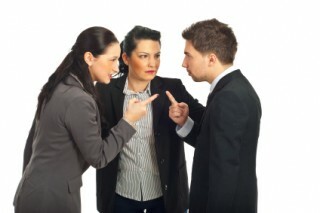 You are here: Home › Our Blog › How Do You Manage Conflict? CEOs of all-size businesses encounter conflict. It’s a fact of business life! The real question is: How do you manage it? It probably won’t surprise you that Conflict Management tops the list of their own skills CEOs believe need development in a recent Harvard Business Review blog article. Avoiding conflict can throw a wrench into the works of your business. It may not happen immediately, but sooner or later the wake of denial prompts a cascade effect all the way down the organization. This is particularly acute and impacts smaller organizations disproportionately. What may seem like a small issue that will “blow over” can turn into counterproductive performance across your company if you don’t recognize and channel conflict in productive directions.